Here is the first size comparison of new Panasonic Lumix S1R compared to Nikon Z7 and Leica SL. 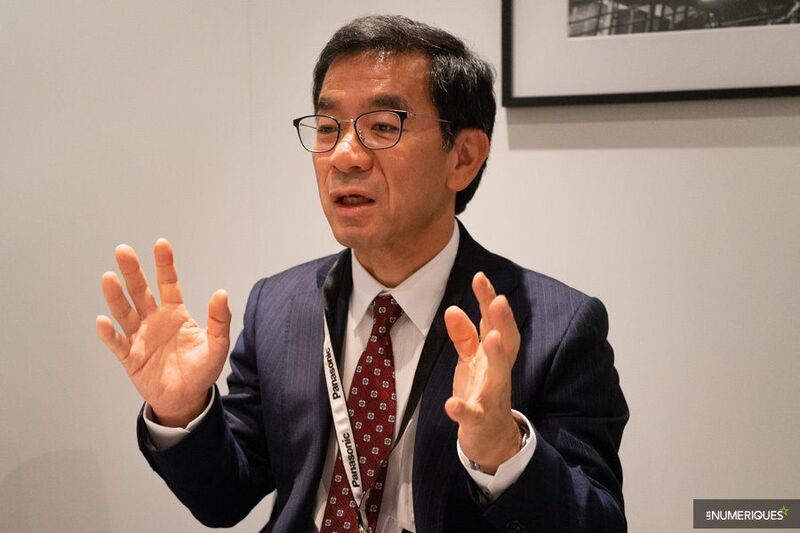 French website lesnumeriques had a chance to interview with Panasonic Manager Yosuke Yamane, talking about new announced Panasonic Lumix S1 and Lumix S1R full frame mirrorless cameras. Here is another Panasonic Lumix S1 & S1R first look video at Photokina 2018 by Kinotika. You can watch the video above. Gordon Laing at Cameralabs had a chance to play with the new Panasonic Lumix S1 and Lumix S1R full frame mirrorless camera at Photokina 2018. You can watch the video above. 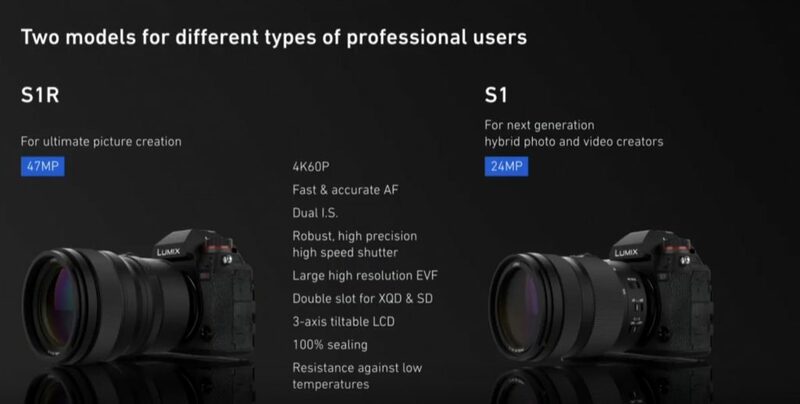 Both S1 and S1R will shipping in early 2019, and we will get more details (Price, Specs, Release Date) about these two camera at early 2019. 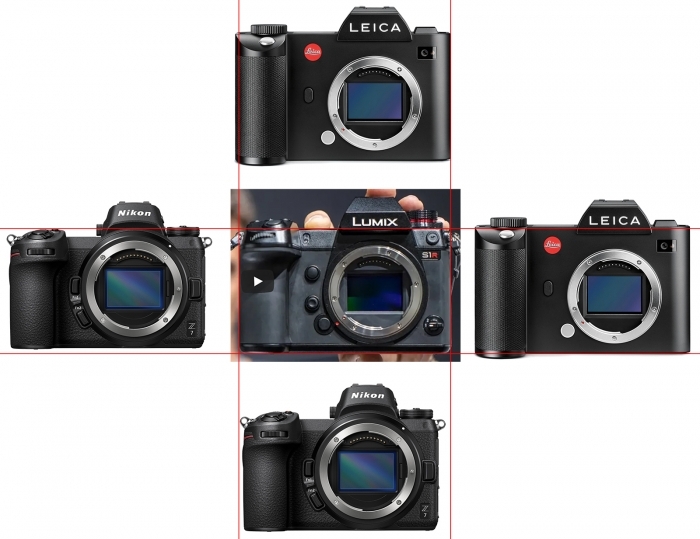 Here is the interview of Panasonic Lumix S1 & S1R full frame mirrorless cameras by Cinema5D. Here are first real photos of new announced Panasonic S1 & S1R and three new S series full frame L-mount lenses from optyczne.pl. Panasonic S1 & S1R Full Frame Mirrorless Cameras Announced ! Panasonic has officially announced the new S series full frame mirrorless cameras, the new 47MP S1R and 24MP S1. 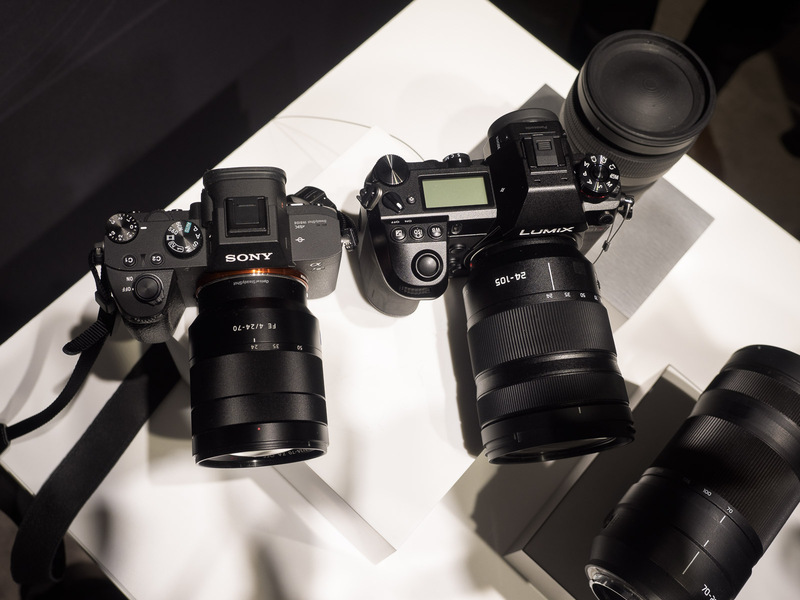 Prototype versions of the S1R and S1 will be displayed under glass at Photokina 2018, with a promised simultaneous launch date for both models of “early 2019”. The two cameras don’t have a new mount; rather, they use the same Leica L-mount found on that company’s SL. Thus, users will be able to use new Panasonic lenses, with the first three being a 50 mm/F1.4 fixed-focus lens, 24-105 mm standard zoom lens, and 70-200 mm telephoto zoom lens. Panasonic plans on releasing more than ten lenses by 2020. Users can also use Leica’s expanding L-mount collection, and Sigma is will also be producing lenses for the system. Together, the three companies have formed the ‘L-Mount Alliance’. 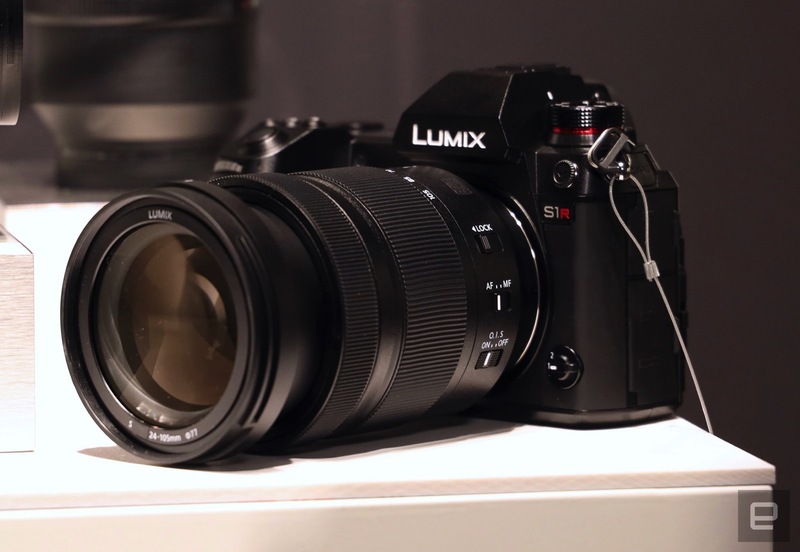 The S1R and S1 will support Panasonic’s Dual IS technology, which combines in-camera shake reduction with optical stabilization built into select lenses. Both camera will be able to capture 4K/60p video, which Panasonic says is a first for a full-frame mirrorless camera. The S1R and S1 will have a three-axis touchscreen LCD similar to the one on the Fujifilm X-T3. 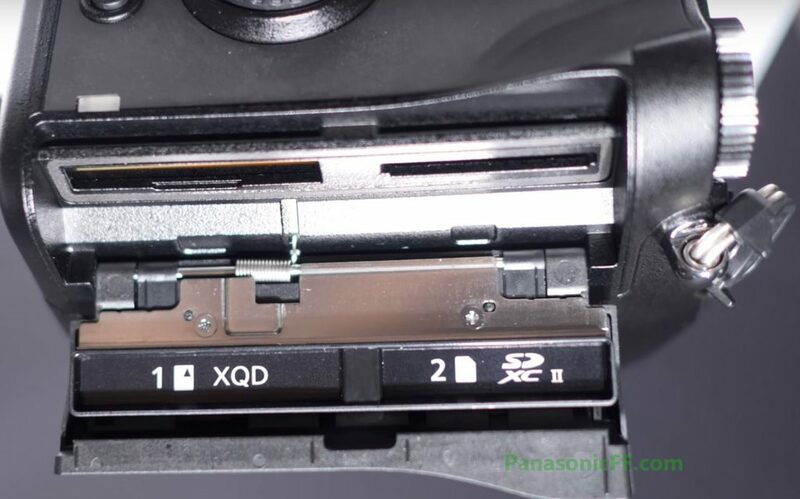 It will have dual memory card slots: one XQD and one SD slot. WIth these two new pro-focused cameras comes a new service and support program known as Lumix Pro, which will allow photographers to get their cameras repaired globally. Author adminPosted on September 25, 2018 September 25, 2018 Categories Camera Rumors, Lens Mount, Panasonic S SeriesTags L Mount Rumors, Panasonic LUMIX S 24-105mm f/4L Macro OIS Lens, Panasonic LUMIX S PRO 50mm f/1.4 Lens, Panasonic LUMIX S PRO 70-200mm f/4 OIS Lens, Panasonic S1 Deals & Cheapest Price, Panasonic S1R Deals & Cheapest PriceLeave a comment on Panasonic S1 & S1R Full Frame Mirrorless Cameras Announced !